Look at all the websites that Tom Antion’s http://www.GreatInternetMarketingTraining.com program has built for his mentees! This is just a small sampling of the great businesses that Tom has helped create and these mentees even learned to maintain these websites for themselves, eliminating the costly need for web designers. Check out this fast-paced video promo and when your ready to create online wealth for yourself, click on the link above to download the FREE brochure and watch the introductory video. Is this going to be your year to succeed? Making a Kindle version of your e-book or hard cover version is a must in today’s market. Amazon is selling 130 Kindle versions to every 100 hardcovers on their site. This is a great opportunity for you to get more sales and more exposure for your books. Kindle versions reach more people in countries where bookstores are rare, giving authors access to emerging markets and a greater reach. Kindle versions are also less expensive not only to print, but to purchase for the customer. This can save on printing costs for the author and Kindle versions are generally 30% less in price than their printed counterparts. Customers can also purchase more books than they could in past considering the weight and space restrictions on printed books. You may never had in the past a room to store 1000 books, but with Kindle versions you can. that can turn your e-book into the file for the Barnes and Noble reader. Let’s start expanding our reach beyond anything we had in the past with these new developments in e-books! Learn more about self-publishing your material. 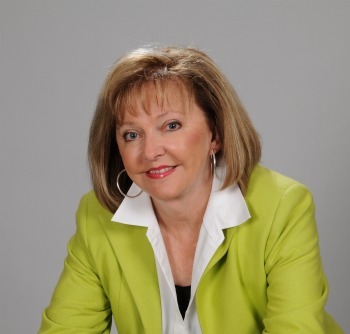 This is a recording of a teleclass with Patricia Drain, the National Association of Women Business Owners “Woman Business Owner of the Year” and according to the “Phoenix Business Journal” one of the top 100 most influential people in the state of Arizona. Patricia is a business strategist, MSI expert, ( multiple streams of income expert) Internet marketing specialist and professional speaker. She has over 20 years experience as a business owner in Phoenix, Arizona and has built and sold several companies to date. => Exactly how Patricia created multiple streams of income for herself….and how you can too. => The single biggest MYTH about creating multiple streams of income….and I’ll bet it surprises you. => 3 key points you must know while creating multiple streams of income. . . miss any one of the three and you’ll have a tough time being successful. => Market what you know and watch the money flow. . . if you don’t think you know anything that anyone wants to buy, we’ll pry it out of you on the call. => How conditioning about big bucks holds us back from creating our multiple steams . . . Patricia will give you an entirely new outlook on the greenbacks that go into our bank account. Click here to listen to this teleclass! Right click to save MP3. Steve Love Gives Tom Antion a Testimonial. How do you get the most number of people to read your ebook?You know, that ebook with all of the links to your valuable affiliate products that bring in income 24/7? Most people try and sell every ebook they have, but for a few of your ebooks, I have a better way. One that has delivered great information to over 6500 customers now. It’s called http://www.free-ebooks.net and it has given me the critical exposure I need to advertise my strongest affiliate products. The most active ebook is called:“How to Pick a Shopping Cart Ecommerce System That Makes You Money.” In it, I explain all the things someone getting started selling on the web will need to have to make the most and easiest money possible. People are searching for information everyday about e-commerce systems and which ones work best. This book explains it all to them. If they choose to sign up for a 30 day free trial of KickStartCart just to check it out and they like it, I’ll make $33 a month off of them each and every month. And I have over 1000 people signed up to the cart at this time. Just for giving away an ebook. So here’s a strategy: sell your larger ebooks that teach people a necessary skill, and give away your ebooks that promote an affiliate product. You will get so much more exposure for that ebook. And remember to give it away on Kindle as well. FriendFeed is a great way to share articles, videos, status updates and a ton of other important information with collegues and prospects. If you haven’t seen it yet, it is a bit like the Home Page updates on Facebook that you see when you login. Everyone that you subscribe to will see all of the recent activity you have done on any of 56 services that you work with. When you send a Tweet, bookmark a site on Digg, upload a YouTube video, post a blog, or join a group on LinkedIn your subscribers will be notified in a feed stream in real time that has a link straight to the source. You can watch videos right in the FriendFeed stream and click out to blog posts. It is especially helpful in getting your bookmarks on Digg, Reddit and Delicious seen and voted on. In one click, you can add all of your Facebook friends that have a FriendFeed account to subscribe to yours. I grabbed up 1300 followers from Tom’s Facebook friends in 5 minutes. Now, no matter what site I update for him, the FriendFeed updates automatically and all 1300 followers are notified. Used in conjunction with Ping.fm, you can use Ping to update all of your social sites at once, then the updates feed from each of those sites to your FriendFeed account. You can get a lot of views in short order of tons of your social marketing. Plus, you get to stay in touch with thousands of others from your FriendFeed home page. Learn more great tips for social networking! WoW! Have things changed since the last time I did this class! It’s an absolute MUST for you to get a quick overview of what you and your web/marketing people should be doing to stay ahead of the curve.Since the last update me and my staff have been working like crazy to bring you the best of what actually works on the web. => Upselling tips . . . You’ll earn a ton more from the same number of visitors. => Tons of little utilities and programs that will make your life easier and make your customers love you. => How to make mobile websites without breaking the bank. . . You’ve got to do this because people are visiting your site on their smart phones more than ever. => Even more video tips like how to make gorgeous, custom videos to promote yourself and your business…..with ZERO skill and ZERO expense. => Fantastic automation and syndication programs that can save you vast amounts of time and spread your name around the world. => Security tips that will keep your information handy, but under military grade encryption. => QR Codes…..what the heck are they and what can they do for you? => Legitimate Text marketing. . . reach your best supporters and customers within minutes. a Big Resource list / downloadable handout and like every single thing I do….lots, lots, more You can start using this right away. You won’t understand everything until you hear Tom, but there are tons of links for you to start exploring immediately. Telephone Bridge line space is limited and my teleclasses sell out quickly. Register now before all the complimentary CDs are gone and did I mention that the shipping is on me? I’ll talk to you Thursday night. Sign up now! P.S. Don’t forget to download your handout/resource list and start using it right away. Glenn Morshower AKA Secret Service Agent Aaron Pierce from the hit Fox TV series 24 and Tom Antion horse around at the original site where the opening to the Andy Griffith Show was shot in 1960. If you haven’t figured this out yet, online video is the most dynamic way to get your message across on a webpage. and whether it’s on a welcome page of your website, a Youtube video or an affiliate sales letter, video can get your pitch out to your visitor with more passion and more excitement. Landing pages, whether it is an opt-in or sales letter, is the perfect place to put a video. Longer sales copy, while still very effective, is losing popularity along with the shrinking attention spans. They just don’t take the time to read as much as they used to. Video can be an engaging alternative that keeps people on the page longer and makes higher conversions overall. If you want to make the change to video and get more with the times, check out this great recording that can show you how to make video landing pages for yourself, the easy way! Are you a teacher looing for a high-tech career change? Learn how you can discover the hottest and most in demand tech training available today. At the Internet Marketing Training Center of Virginia, you can get a dedicated certificate in as little as six months and be on your way to a great job. Visit the site to download your free career guide.